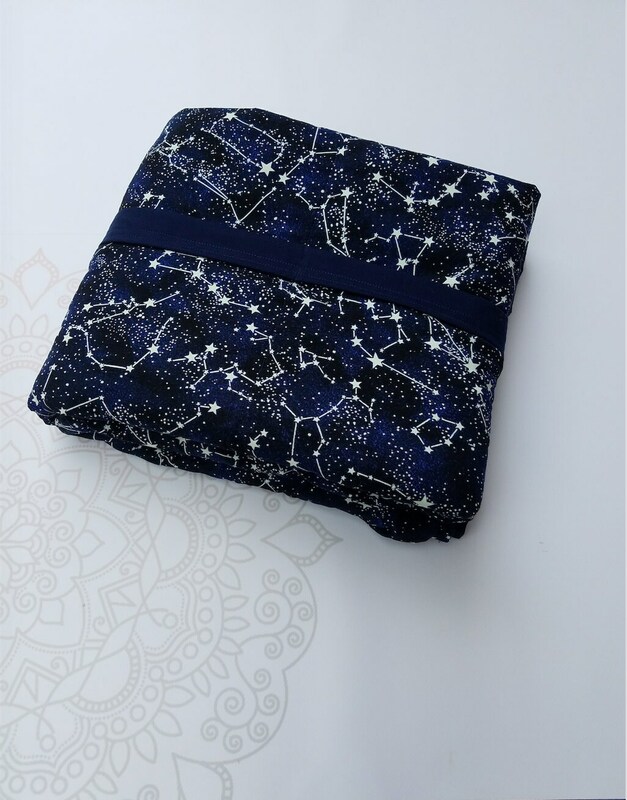 Constellation, Glow in the dark, Woven Cotton Weighted Blanket. 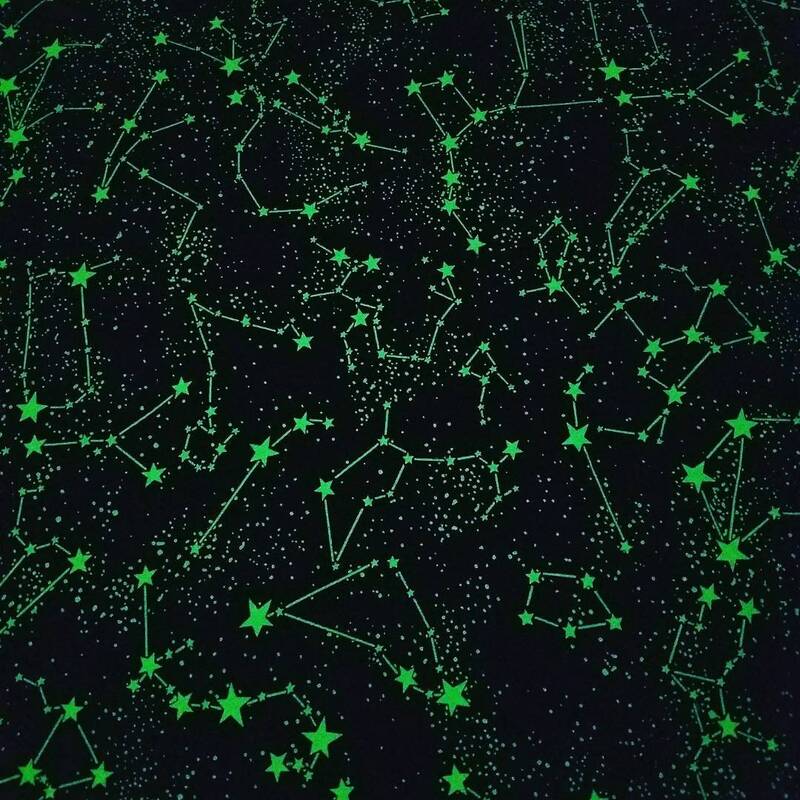 Constellations on this fabric glow in the dark. 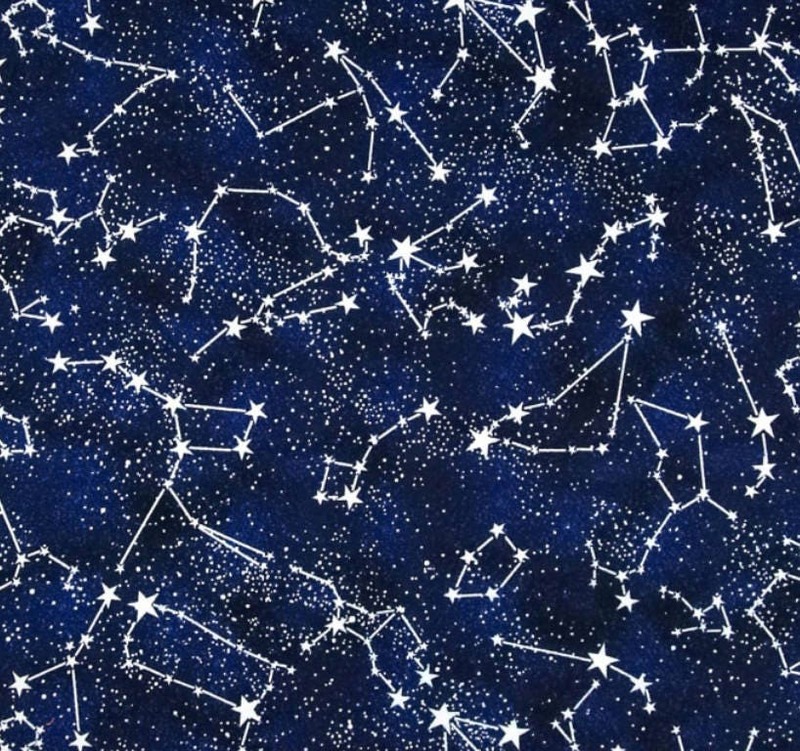 As described earlier in this listing, our blankets have sewn "pockets, partitions, sections" that hold the weighted medium used to weigh the blanket. These are approximately 6x6 inches. PLEASE NOTE: EACH POCKET WILL HOLD A SPECIFIC AMOUNT OF WEIGHT IN OUNCES BASED ON THE OVERALL WEIGHT OF THE BLANKET. -Hence “evenly distributed.” The pocket sizes will not change based on overall weight of the blanket. For example, a 5 pound blanket would have a lesser amount of filling than a 20 pound blanket. ALSO PLEASE BE AWARE THAT THE FILLING IN EACH POCKET WILL MOVE AROUND IN THAT PARTICULAR POCKET. To reiterate, while the OVERALL weighted filling of the blanket will not shift and gather or bunch into a mass of filling on the bottom or sides of the blanket when in use, the filling inside each pocket will be able to freely move around it's assigned pocket. We are working with plastic pellets or small glass beads....they will not be individually sewn into the weave of the fabric to hold it to one assigned part of the fabric like a button is sewn onto clothing. We cannot control the gravitational force of the earth and make all pellets/beads not move around at all. We apologize that we cannot fulfill everyone's expectations based off of blankets that are not our own. 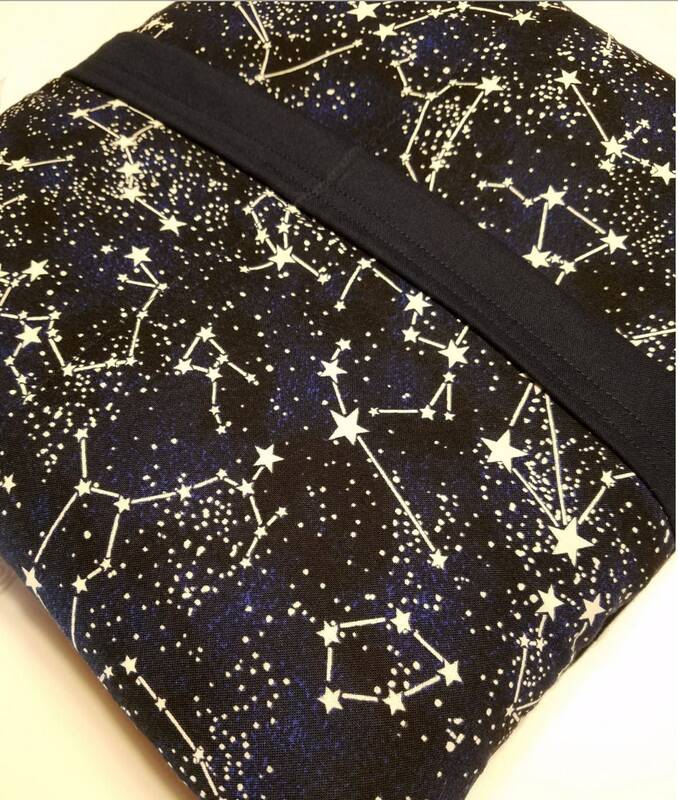 We encourage that if you have used/purchased a weighted blanket in the past and love it and the way it is made, please repurchase blankets from that company and do not expect our blankets to mimic their design. We have worked hard to perfect our design and what works for our customers. We will not fulfill ANY requests to alter our design for ANY reason. ALSO: The aesthetics of our finished products are important to us, and so is our stability and durability. To ensure our triple stitch design all the way around our blankets we FOLD OVER THE BACKING FABRIC on top of the front fabric to create a band of color/design from the back to the front. If this fold over will be an issue for yourself or the blanket user PLEASE DO NOT PURCHASE from us. Having the experience of making weighted blankets for years now, we have to insist that if you have ANY questions please message the shop PRIOR TO ORDERING. We promise that unless you message us overnight we will respond quickly. PROCESSING TIMES are listed for you to view prior to ordering. PLEASE NOTE: Writing in the “Notes to seller” section of your cart at checkout that you need your order before our processing times indicate do not make our processing times null and void for you. If you need a blanket before our processing times will allow please message us to discuss your needs and when appropriate we will advise on our “Rush” option if applicable. Also, writing in the notes to seller section when you checkout with demands does not nullify our shop terms and policies. If processing is 2 to 3 weeks and you need delivery in 7 days DO NOT PURCHASE and then write in the notes section in your cart at checkout that if we cannot accommodate such a request then to cancel your order. WE DO NOT CANCEL FOR ANY REASON. Deliver/Shipping concerns. We do not hand deliver packages, our items are shipped though a third party-typically the USPS. We do not have access to their tracking system and differently than you do. We cannot be responsible for their actions/delivery methods. 7. Your blanket size in an order for a custom blanket will default in your order to our 28x32 size in 3 pounds if you do not select the size and weight you want. If you want a twin size 20 pound blanket for $50, please go to your nearest Walmart or to Amazon for a Chinese import. One last thing. We try our VERY VERY BEST to be as open, transparent, and honest as we possibly can. We are a husband and wife team that construct and measure EVERYTHING with our own 2 hands. We do not respond nicely to extortion for feedback or refunds. If you want to cause drama we will gladly recommend another shop for you to play with, we are busy trying to help as many families as we can with these amazing blankets. We are human beings with our own special needs child, thank you for understanding.